Home Business Events WORLDZ Summit WORLDZ Summit: Make Your Contribution in Shaping the Future of Tomorrow. WORLDZ Summit: Make Your Contribution in Shaping the Future of Tomorrow. A cultural marketing summit and community uniting superstars and rising stars to shape the world of tomorrow. Every great mind is expected to converge in Holywood on the 31st of July ,2017 to participate in shaping the future. Yes i did say everyone. This is possible if you make it to the WORLDZ Summit come July 31st 2017. WORLDZ Summit is not just about tech but about the future of tomorrow. It is not just a fashion event, a sport event and more than you can think of. WORLDZ is an all in one event that brings together the key players in the food industry, electronic, fashion, sports, News, Food, Entertainment, Technology, Brewery and more together . WORLDZ Summit is not just about tech but about the future of tomorrow. Some of them includes: NIKE,SAMSUNG,NBA,whole foods,Coca-cola ,Tech Chrunch,Spotify and more. To see the complete list visit t worldz Eventpage below. 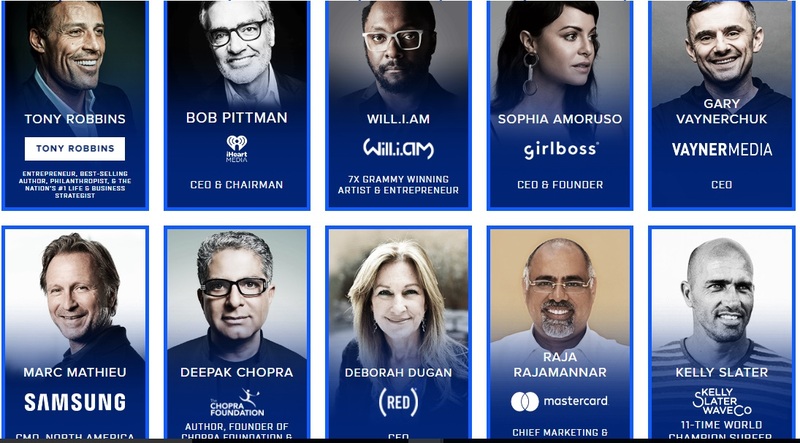 The WORLDZ summit in HOLLYWOOD will bring together More than 150 Masters and speakers ready to dish the secrets of success, innovative ideas, growth experience and the way forward to the future with you. 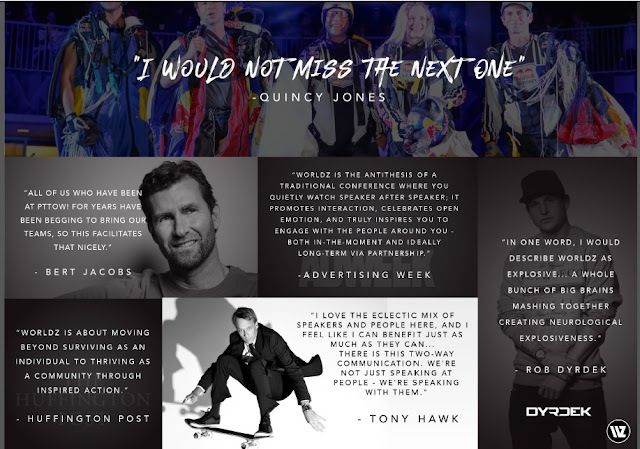 Tony Robins, Kathy Calvin, Shaun White,William, Kelly Slater among several others will be there to dish out knowledge from billion dollars industries. You and I should join these great people come July 31st 2017 in HOLYWOOD. 1. You will be able to meet the world top influencers right next to you. 2. Brands will be exposed to top profiles in the world. 3. Attending this event will be an opportunity to create life changing partnership. 4. This event is a life time opportunity for attendees to participate in projects that will make the world a better place. ARE YOU READY TO JOIN A CULTURAL MOVEMENT? 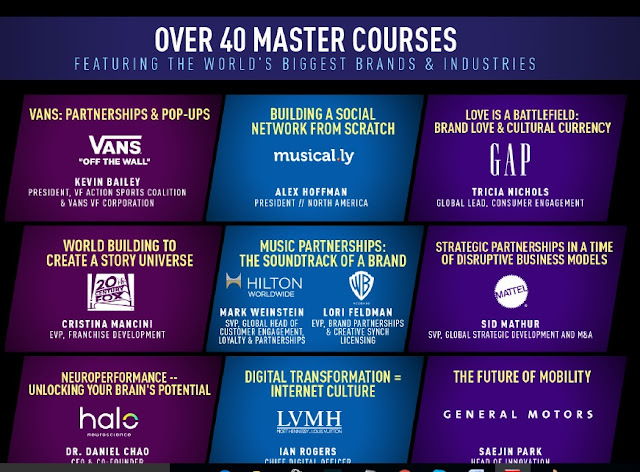 Master courses will be thought during this Summit; Some courses includes: Building social media from scratch, Love is a battle field, Music partnership, The future of mobility, Unlocking your brain Potential and more. Discover the world's most innovative projects by great minds all around the world by witnessing the WORLDZ Summit. 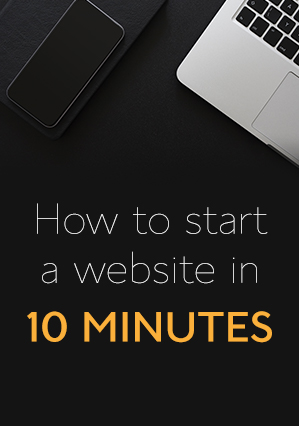 No need to keep marking time, It is a life changing, life transformation and mind opening event that need people like you and me to join in creating tomorrow . Don’t just be participant, at the world summit. Get there, build a powerful network with the most popular brands, influencers and innovators and great minds. 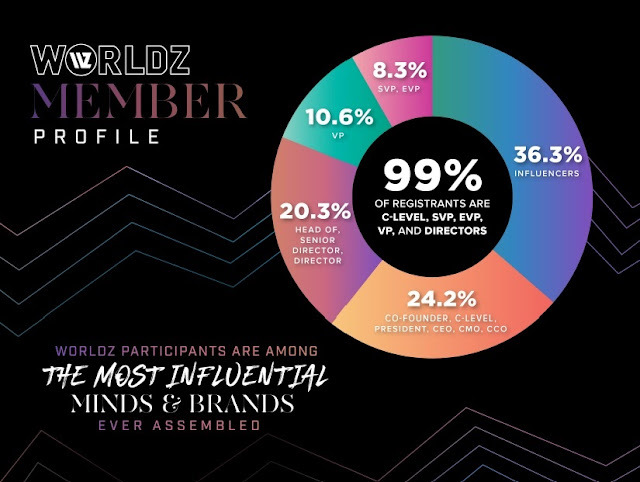 The WORLDZ Summit is just another great opportunity to create a strategic partnership with the world best brands and leaders. If places are still available you can proceed to reserve a hotel and flight for the big event.